Are several members of your staff planning to retire in the next 3-5 years? Do you have a plan in place to fill this talent gap? What about the resources necessary to onboarding and training the next generation of reinsurance professionals? These are just a few of the questions that the insurance industry is currently facing because, as we learned at TAI’s 2016 User Group meeting, concerns over a retiring insurance workforce are increasing. While it is a discussion that may be somewhat concerning, it is also a sign that the discussion is active. It means that the industry is thinking about how to close this gap without having a great deal of impact on the business. The good news is, if you put a plan in place early you can start onboarding new professionals before your ‘veterans’ leave the company giving yourself the opportunity to transfer knowledge. Which will be extremely beneficial during the training process. Training has always been a fundamental part of TAI’s software installation process, to make sure our clients are getting the most of our software. Given there could be an influx of training with new professionals joining the industry, we wanted to get a better understanding of our clients' current training needs. To do so, we conducted a short survey focused on various elements of training. Below I will share highlights of the survey results which include responses from 31 reinsurance professionals. How are new reinsurance analysts trained at your organization? From the responses we discovered a variety of methods being used to train new reinsurance analysts. While independent self-study, formal in-house and external third party sources are used for training, more than half of respondents use other tactics. From the verbatim feedback (‘other’), common types of training included; on the job training, one-on-one mentoring from senior staff or simply training from other team members. From the results, there seems to be a lack of consistency in the types of training new reinsurance professionals receive. Perhaps there is an opportunity to build a training program that is fluid across the industry. Or at least, allocate dedicated resources towards a plan for hiring, onboarding, training and developing new analysts. This will ensure a consistent experience for staff and will give you control over the knowledge being transferred to ensure that key information isn’t being missed. How long does it take for a new reinsurance team member to be productive? The majority of responses indicated that it takes around six months to a year for a new reinsurance team member to be productive. Given the intricacies of the industry, it is understandable that the period of time to be productive could be longer than other industries. However, investing in some kind of consistent training program could also help reduce this time and get your team to be productive faster. Do you find computer based-training such as LOMA and LIMRA to be effective? Koreen Pagano, Product Management Director of Desire2Learn indicated that addressing the retirement wave and new-hire skills gap is one of the 7 trends of online learning. This makes sense because industries will likely turn to millennials to fill the job gap. And given that they are a very digitally savvy generation, both online learning and computer-based training are more appealing to them. Our survey indicated that about 48% of respondents find computer-based training such as LOMA and LIMRA to be effective. Respondents also shared that LOMA and LIMRA are useful for understanding the fundamentals of reinsurance. However, since it doesn’t cover TAI-specific reinsurance administration training, it needs to be combined with hands-on system training. Again, there could be an opportunity to develop computer-based or online training that is TAI specific to complement the knowledge taught in already existing online courses. Have you or your staff ever participated in TAI training? 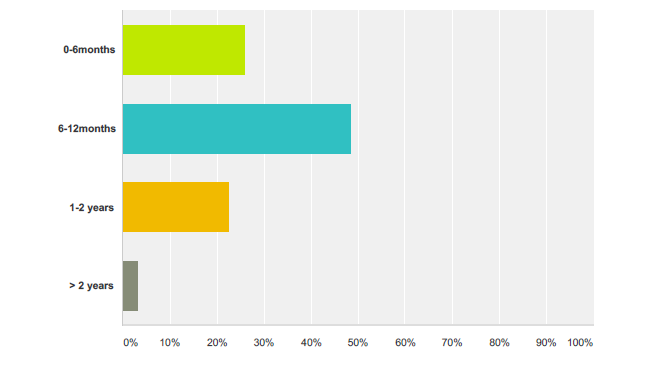 84% of respondents have participated in TAI training. This could include anything from customized training and consultation for system upgrades or conversions and on new product installation such as Insights and Connector. Would a training program that resulted in a 'TAI Certified Administrator' be useful to you or your company? About 85% of respondents felt this would be useful, particularly to get new staff familiar with the intricacies of the system. They also felt it would be useful to discover new ways to use the system. As mentioned, training has been and will continue to be a priority to ensure our clients are getting the most from our software. This was great feedback because if there are new opportunities to expand our training we would like to explore them. Would you be willing to allocate training budget towards this service? 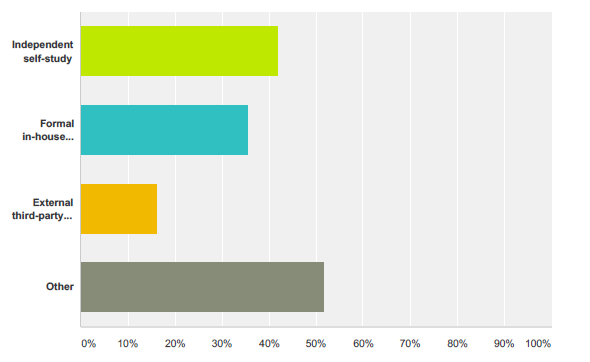 About 70% of respondents would allocate training budget towards a TAI specific training program. The responses indicate that training is a priority for professionals in the industry, which signals that they are really looking to invest in the future of their company. This is positive for both people joining industry and the health of companies. Thank you to everyone who participated in this survey. From the results we can see that the industry is not only talking about upcoming training needs but also thinking about what could make training optimal for new hires. I have no doubt this conversation will continue to develop. What do you think of the survey results highlighted in this post? Do they resonate with your training needs? We value your feedback so if you didn’t have the chance to complete the survey or have thoughts on the subject, please don’t hesitate to get in touch.